Listening is crucial in piano learning. Through listening we capture the mood and full picture of the music. But in some cases when I ask my piano students listening to the recording, some complain they cannot follow every notes in the running passages. Moreover they tend to follow the “performance tempo” that pianists played in the recording. Obviously their technique are not capable to cope with that tempo at the early stage of learning so stumbles are often found. I find Speedshifter, a IT tool from ABRSM is useful in this situation. Speedshifter officially is designed for instrumental students for practice. This tool can change the overall tempo of the recording from an audio file, make it faster or slower in different degrees, and play it out. In other words instrumental students can use this tool to alternate the tempi of piano accompaniment, usually slower the accompaniment at the beginning, and then speed up progressively to reach the “performance tempo”. I use this tool in another way. I let my piano students listening to the original version of recording first. Then I use this tool to slower the tempo of recording some how similar to the “slow practice tempo”. Speedshifer is free for download on PC and Mac. This tool is also available as mobile app for ios and andriod, and have both free and paid version for both OS. We teachers like to give students verbal appraisal, stickers and candies to show our appreciation of students hardworking and achievement. Actually this approach has a specific technical name, operant conditioning. The rationale of this approach is that reinforcement (rewards and punishments) can help to shape students’ behaviour (e.g. become more willing to practice). Young students like stickers and candies. But when they grow up, these kind of rewards are usually no longer attractive. So we have to find another way to motivate them. Julian Bernard Rotter thought that besides the reinforcement, the locus of control also plays role when people want to do a certain behaviour. Locus of control means how people feel they can control a situation affecting them. If people think they can have higher degree of control, they will engage more and are likely to do certain behaviour (Behavioral Potential). So it is a good idea to let students to be initial in the piano learning process. For example let them to choose the piano repertoire ( of course from a pool of piano repertoire with appropriate level) and design their own practice schedule. Maslow’s triangle shows the hierarchy of needs. The toppest level of needs is about self-actualization. But here I am concerning the bottom parts–basic needs. Needs for food, drink and security are also important as they are the foundation of our life. So concern students’ overall physical and mental state as well. If they do not feel well, let them have a rest. When we talk about “habits” and “addiction”, we may think these two terms representing two entirely different concept. For “addiction” we may associate something not so good, such as addicted to alcohol, cigarette, shopaholic, gambling or playing online games. But these two terms are all originated from our brain system. In The Power of Habit, Reporter Charles Duhigg reveal that based on neuroscience and psychology, habit is formed under the following pathway: cue–>routine–>reward. For example when we feel stressed (cue), we may drink alcohol, take a cigarette or go shopping (action). Afterwards we feel released (reward). When we repeat this pathway and gradually this pathway will become our habit. We may adjust this pathway to so as to encourage students to practise more. For example when they begin to feel bored during practice (cue), normally they will stop practising and do other things (action). Then they feel happy again (reward). This time when students get bored again in practice session, we teachers can provide some funny ways in practicing. For example we may record melodic line of music first. Then playback this recording while playing accompaniment on the piano. Your piano learning: Practice makes perfect! How often you should practise the piano? How long you should practise each time? How you practise each time? Practice makes perfect. But there is no fixed answers to the above questions. It depends on individual situations and needs. I know Hong Kong students are very busy and don’t have time for daily practice. But from my experience regularity gives a better progression. Just like eating, it’s crazy to eat a total amount of a week’s diet within one meal. I suggest practising piano in regular bass, at least 4 days per week. Moreover practice immediately after the piano lesson can greatly deepen what you have learnt. It is also hard to define the length of practice session. It mainly depends on the amount you learnt during the lesson. The more you learnt the longer should be the practice session. For beginners, duration of practice session is approximately the same as in piano lessons. Same as piano lessons, duration of practice session also highly depends on attention span. It will ruin your practice if you are too tired in a lengthy practice session. It is good to split a lengthy practice session into several shorter sessions. Furthermore, some kids lose concentration easily. They tend to wander around during practice sessions. So I ask them to play phrases of the pieces four times correctly and consecutively instead. Setting goals and procedures for each practice session can make your practice more efficient. I usually begin with some warm-ups. I play something from Hanon, some scales and arpeggios. Then I practise piano studies. Afterwards I move to my pieces. Don’t just play pieces from the beginning to the end. You will leave many details in between. Divide pieces into manageable and meaningful fragments, such as phrases or even a few measures. Polish each fragment with patience. Then link fragments together to give a bigger picture of pieces. There are mainly three types of metronome available. They are the mechanical, electronic and smartphone apps. I was grown up with mechanical metronome. It has a series of assigned tempo markings for ticking, from the slowest tempo at the top to the fastest at the bottom of the metronome. As it is constructed with pendulum mechanism no power supply is needed. It also gives loud and clear ticks. I bought one electronic metronome when I studied music at the University. The tempo marking is shown as digits and you can adjust tempo much freely than traditional one. The other advantage is that electronic metronome has more functions such as subdivisions. You can also adjust the volume of the tick. Moreover it is smaller, lighter and easy to carry. While after I have bought a smartphone, I also use metronome app. I like the “tap in” function of metronome. But only a few electronic metronomes have this function. They are either too expensive or not satisfactory in general quality. However I find some free apps have built-in this useful function. For example steinway metronome for ios, mobile metronome for andriod, and free metronome for windows phone. 1. 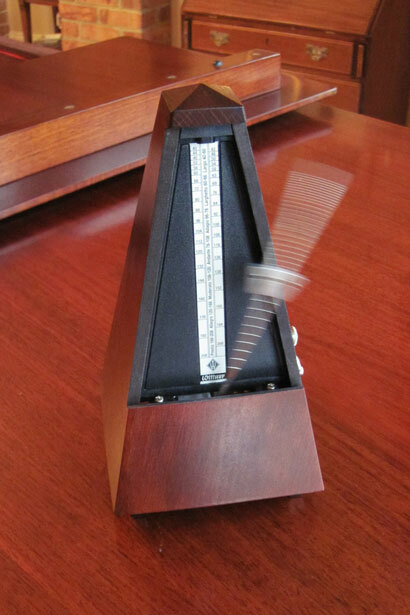 The metronome is clearly sounded and loud enough to hear while you play the piano. If the sound is too soft or blur you will soon lose interest in synchronize with metronome. 2. It has subdivision function. Each beat can further subdivide into 2, 3 or 4 ticks. It is important feature for counting and rhythm mastery. 3. It has “tap” function. So you can know what speed you are now playing and how far you are from the optimum tempo. So far I can’t find one which fully match my criteria. Now I use the combo of electronic metronome and metrnome app. Sochi Winter Olympics has been held for almost a week. 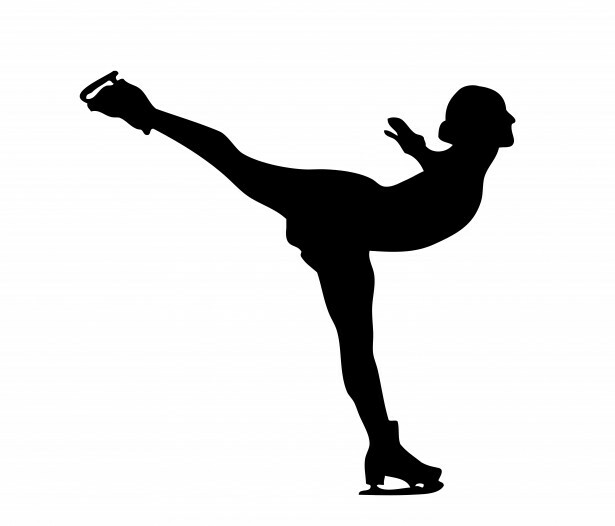 I especially like figure skating. Figure skatters need to do series of moves such as spins, jumps and throw jumps with music. They give smooth, well-organized yet stable performances. It is similar in piano playing. Led by hands and arms, our fingers have to run and jump on the keyboard on time. However, we tend to slow down in difficult sections and speed up in easier parts. This will break the continuity of music. Here I suggest the use of slow practice to overcome the problem. Firstly find out the optimum tempo of the piece and mark it on the score. The optimum tempo is the tempo that allows the reflection of character and salient features of the piece. You can also find the hints of optimum tempo from performances by other pianists. Then play the whole piece comfortably. Tap while playing. Then tap your pulse on metronome with pulse tap function such as mobile metronome app and steinway metronome app. Your current tempo marking is right there. Compare this marking with the optimum tempo and you will see how far you are left behind. Achieve the optimum tempo progressively and patiently. Once you have reached the optimum tempo, please don’t forget to replay the piece in slower tempo regularly. This can help you solidify what you have learnt.